The JEE Main Answer Key was released on January 17, 2019. With this and the release of JEE Rank Predictor, the candidates would have got a better idea about where they stand and whether they have qualified the cut-off or not. So, if you have cleared the cut-off of JEE Main 2019 exam and are all set to attempt for your JEE Advanced, here are few tricks and tips that can make your sail through the exam a smoothening one. Analysing the trend of JEE Advanced, here we have brought to you top tricks and tips on how to crack the JEE Advanced exam hassle-free. Check out this top points below so as to apply the same in your preparation. The foremost necessity is setting your goals right. Make sure where you see yourself standing and where do you wish to reach in the aspect of your ranks. Do a quick analysis of what was your cut-off for JEE Mains and how much does it need to crack the JEE Advanced on the basis of the cut-off from the previous year. Before beginning the actual preparation, having the complete syllabus sorted is one of the most important aspects. Check out the website of JEE advance and get the complete idea of the subjects included in the exam. Having a good idea of the syllabus makes it easier to understand from where to start and which subject to give more weightage. The best way to get a good hold of the syllabus and know the trend of the paper is going through the previous year papers. Once the syllabus is all sorted, start working through previous year papers. Check out the trend of questions asked in the paper so that one can get a better idea of what questions are likely to repeat and which are not. Organize your time taken on the preparation of each subject i.e. Physics, Chemistry, and Mathematics. Accordingly, organize your time for each subject and set the time needed for each paper. This will not only help in simulating your time for the exams. In addition, it will become much easier when attempting the actual paper during the exam. You will be able to easily filter the easy ones from the difficult ones so as to complete the paper on time. Another way to boost your scores and crack the JEE Advanced is by screening through your question paper, look through the questions attempted on the paper and how much time it took to solve each. How much time is required to carry on calculations so that one can attempt the questions and go to the next? Another lucrative way for preparation is building target for each day. Make your daily study plan including both learnings as well as revising so as to assign daily goals and work in tandem to fulfill them. Working on subjects on daily basis will aid in boosting confidence as well as prevent wastage of time otherwise wasted on studying all the chapters together. Based on your subject preference, start with subject-wise planning of syllabus. Thereby prepare your study preparation on the same lines. Foremost complete your strong subjects, revise them and later move on to weak subjects. Revise the weaker subjects each day so as to not lag behind in the preparation. Start your preparation from basics moving to difficult problems. Before jumping into advance level sums or concepts, you can begin with easier ones and gradually move towards the further one. Start revising the fundamentals, revise and get your basics strong. Numerical makes up an important aspect of JEE Advanced preparation. Thus, practicing numerical each day is crucial for cracking JEE Advanced. Ensure to practice at 40 to 50 numerical each day on daily basis for preparation of JEE Advanced. Numerical is not just in Mathematics but in Physics and Chemistry too thus leaving no death of numerical problems. Ensure to focus on understanding each topic before moving on to the next one. This way you can imbibe the methods and formulae and repeat this by practicing. Studying alone won’t render you the concepts. And thus, practice each topic so as to gain a good stronghold on every subject. After sorting and revising every subject, ensure to practice all the previous year papers. This will render a good understanding of where you stand. While often we think studying the difficult aspect of the start is the best way to prepare for the exam, then it’s not. It’s always better to get the strong part of the syllabus so as to ensure at least some part of the syllabus. 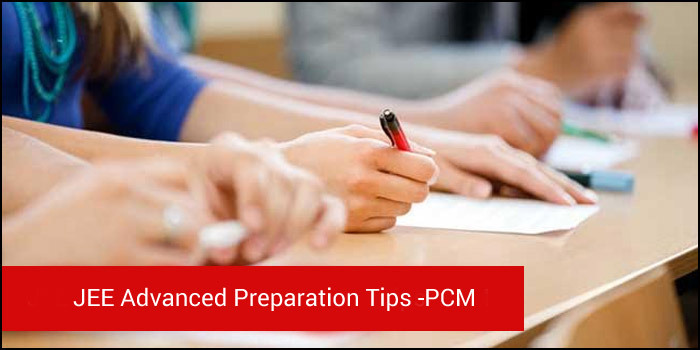 Thus, leave the crucial sections for last and mark the difficult portions of the notes so that you can revise through the weaker sections later. So, before the exam, just relax and do not study. This will only broaden the queries. Discuss and cleat the doubts with other fellow aspirants and overcome the weakness. Interact with other aspirants and just do a minor revision. And finally, do not lose hope and keep your perseverance on throughout the preparation for getting admitted to the dream college. There may be times when you may want to give up or feel bored, but do not forget to keep your perseverance alive all along. Relax, eat healthy food and sleep well. Do not fret over results and keep up the dedication. Next Diploma, Degree or Certification Courses: Which is Better After 10+2?